We continue to reach out to renal providers to educate them about the benefits of CNSW membership for all nephrology and transplant social workers. Please let me know how I can better serve your needs and answer your questions about National CNSW Membership. Please feel free to call me at (973) 890-2394 or email me at mogradyhamre@americanrenal.com. Thank you. Don’t Miss Out on all the Great Benefits of NKF-CRN Membership! Did you know about the many FREE Online CE offerings available to NKF-CRN Members? NKF-CRN membership allows you access to free online CE courses through NKF’s Professional Education Resources Center (PERC) at education.kidney.org. Registration is now open for the 2019 NKF Spring Clinical Meetings! Join is in Boston at the Hynes Convention Center, May 8 – 12, 2019, to get the latest in clinical care of patients. Don’t forget! Members receive discounts to attend. Learn more here. The Council on Renal Nutrition has created a database of dietitians across the country who are currently seeing patients who have pre-dialysis chronic kidney disease. The NKF recognizes the importance of medical nutrition therapy in the early stages of kidney disease and would like to provide a place for patients and practitioners to easily find qualified practitioners. Do you also know an outstanding nephrology dietitian that makes a significant impact in the community and with chronic kidney disease patients? Please take a moment and recognize her/him. This dietitian in mind could be a perfect candidate for the Regional Recognized Renal Dietitian (RRRD) Award. Awards for 2020 will open during the SCM in Boston. Dietitians deserve to be recognized for the tremendous work done, which improves quality of life and makes a difference in the lives of many. You can start by sending a recommendation letter to your Region Representative. A list of the Region Reps can be found here. Your Region Rep can reach out to the nominee, notifying them of nomination and explain what to do next. The Recognized Regional Renal Dietitian (RRRD) Award honors a dietitian who has demonstrated exceptional abilities within their community or region. These dietitians excel in leadership, creativity and public involvement, and are trailblazers in renal nutrition. The RRRD Award will be offered to a dietitian in all five regions and must be a CRN member. Each nominee will need to gather the information needed for their application: two (2) recommendation letters, a current CV, and a brief statement about their contributions to the renal nutrition field and the purpose of these efforts (400 words or less). Once all the application information is together, nominees can go here to complete and submit their application. There are several other awards for our deserving dietitians. To learn more about all the awards, please check out our CRN Awards Process. We all know exceptional dietitians. I encourage you to honor them with professional recognition. Congratulations to the following CRN Award Recipients for 2019! You can read more about these recipients on the SCM Website. 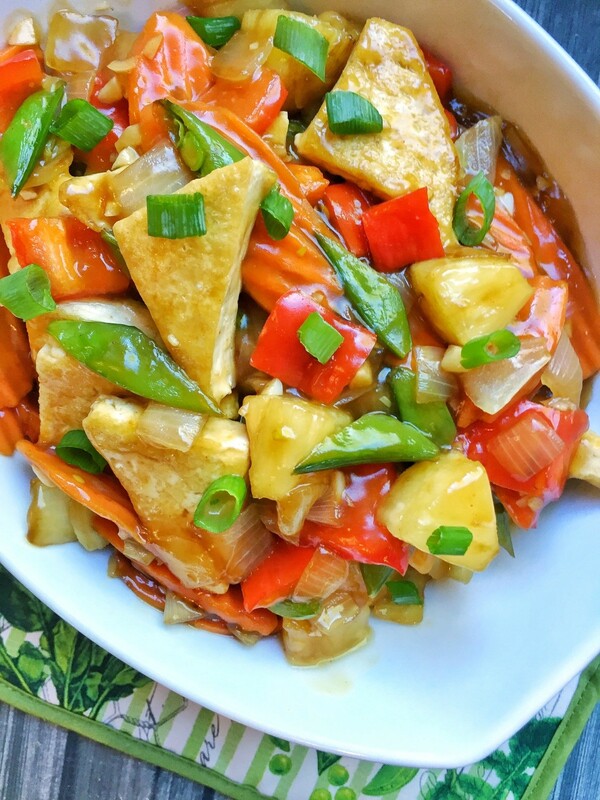 Congratulations to Brittany Sparks, RDN, CSR, for her winning submission for Sweet and Sour Tofu & Veggies! Remove tofu from package and drain excess liquid. Using a dish cloth or paper towels press as much liquid from tofu. Cut the tofu into 3 (1/4th inch) sheets. Cut each sheet diagonally on both sides to form 4 triangles. Now cut each triangle diagonally to form 8 small triangles. Pat with dish cloth once more to remove excess liquid. In a large skillet heat olive oil over medium high heat. Add the tofu and cook for 3-4 minutes per side until golden brown. Remove from pan and set aside. Prepare the sauce by separating the pineapple chunks from the juice. In a small saucepan add the pineapple juice and the rest of the ingredients for the sauce. Whisk together to combine. Bring mixture to a boil over medium heat then reduce heat to low. Allow to cook, whisking occasionally for 5 minutes or until the sauce thickens. Remove from heat and set aside. In the large skillet used to cook the tofu, add the snow peas, bell pepper, onion and carrots and sauté over medium-high heat for 7-8 minutes. Now add the garlic and cook for about 30 seconds. Add in the pineapple chunks and tofu and cook for an additional minute. Add the sauce to the pan and toss to combine. Serve warm with 1/2 cup cooked rice. Garnish with chopped green onions.